Frustration with Google became the impetus for Dr. Samir Qamar to think outside the box and find a better way to deliver telemedicine. When Dr. Samir Qamar, CEO and founder of MedLion, a direct primary care company, received a phone call from the internet giant Google, he took the call and listened to the proposal. The frustration of their ensuing collaboration ultimately led him to invent MedWand, a telemedicine device — think “Star Trek’s” medical tricorder. “Who says no to Google?” said Qamar. The offer was to join a new Google platform, Helpouts, an online video chat service which launched in November 2013 and shut down in April 2015. Helpouts allowed customers to get advice from experts in eight different categories — from how to bake the best brownies to health advice through live video. “So they wanted to do this telemedicine thing with us so we said ‘sure,’ ” said Qamar. But the shortcomings of the platform quickly became evident to Qamar. Sessions were confined to video and audio — a video chat. He was frustrated by the lack of basic vital data — blood pressure, temperature. “Let me listen to the heart, the lungs. I couldn’t do any of that so after doing it for some time, I thought, this is not telemedicine,” said Qamar. Frustration with the Google platform became the impetus for Qamar to think outside the box and find a better way to deliver telemedicine. 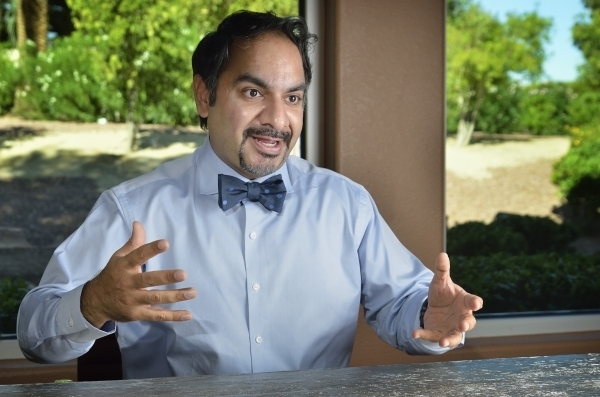 He invented MedWand in 2014 and founded the Nevada-based company, MedWand Solutions. “I decided to create a device that would allow me in real time to examine patients while I’m seeing them on video chat,” Qamar said. 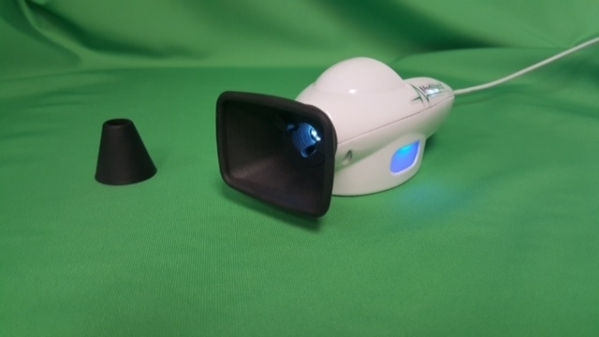 According to MedWand.com, it is a patent-pending telemedicine device that connects to a PC or mobile device like a cell phone or tablet via Internet or satellite links. MedWand contains a set of fundamental, easy-to-use vital sign measurement and examination devices. It includes a pulse oximeter; an otoscope camera for ear examinations with attachments to also allow views of the eyes, throat, or nose; an in-ear thermometer; a digital stethoscope; and provision to support optional third-party Bluetooth wireless devices such as glucose meter or blood pressure monitor. In addition to enabling remote examinations, MedWand can assemble all measurements and required information into a secure Electronic Patient Record, enabling a clinical-quality, interactive, at-home telemedicine experience for both patients and their doctors. Qamar put two strict stipulations into the development process of the device when he partnered with the founders of Cypher Scientific, a West Coast engineering design company. First, that it must be made in America. “Because I knew this would change medical practice and I wanted America to be recognized for that,” he said. Second, that the manufacturing cost would be less than $100, which would make a price tag of $250 affordable to the consumer. “I want the average person to have this in their home so when they have these telemedicine appointments — they can actually be examined,” said Qamar. 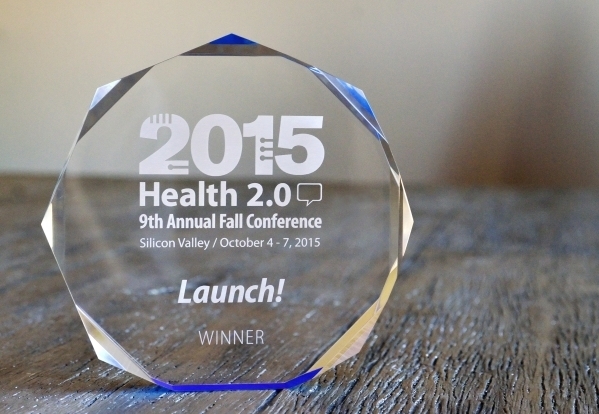 This October, MedWand won the prestigious Health 2.0 Launch! 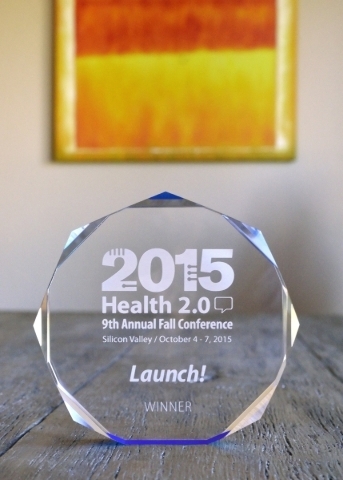 award in Silicon Valley. Competing against nine other health technology finalists, Qamar demonstrated the device by performing a physical exam on a patient hundreds of miles away. With both video and audio Internet connectivity, the doctor used the patient’s MedWand to examine her throat, eyes, skin and nasal passages while simultaneously collecting her heart rate, oxygen levels and temperature in under two minutes, according to a press release about the event. Several weeks later, Qamar demonstrated MedWand at the World Extreme Medicine Expo in London. MedWand has been cited as one of the top 10 health care disrupters of the year by Frost & Sullivan, a growth partnership company that tracks new business models, disruptive technologies and mega-trends. “The charm of the doctor’s office is gone,” said Qamar. People would rather be seen at home or at work if they are sick, he contends. Besides a MedWand in every home, Qamar envisions utilizing the satellite capabilities of MedWand Global Clinic to treat people in remote places such as ships at sea, airplanes, oil rigs and distant military outposts. “It may very well be that you’ll see a MedWand in the (International) Space Station,” said Qamar. There’s that ‘Star Trek’ connection again. The company also offers MedWand DOCs (Digital Onsite Clinics), which businesses can purchase to create a virtual clinic onsite for their employees using multiple MedWand devices, computers and tablets. MedWand is now partnered with Doctor on Demand, a video telemedicine company. The two companies plan to market their respective telemedicine services together and bundle MedWand with Doctor on Demand services for national distribution. Keep in mind, all the international recognition, awards and affiliations have occurred before the actual product launch of the device in early 2016. Customer pre-orders are available on the website medwand.com. “I think if you have a sincere desire to want to improve the current health care system — which by the way is a very easy desire to have because it is really broken — then opportunities come, especially if those opportunities make sense,” said the doctor-inventor-entrepreneur Qamar.